Foreword, Annotations, and Bibliographies by Charles J. Reid, Jr. 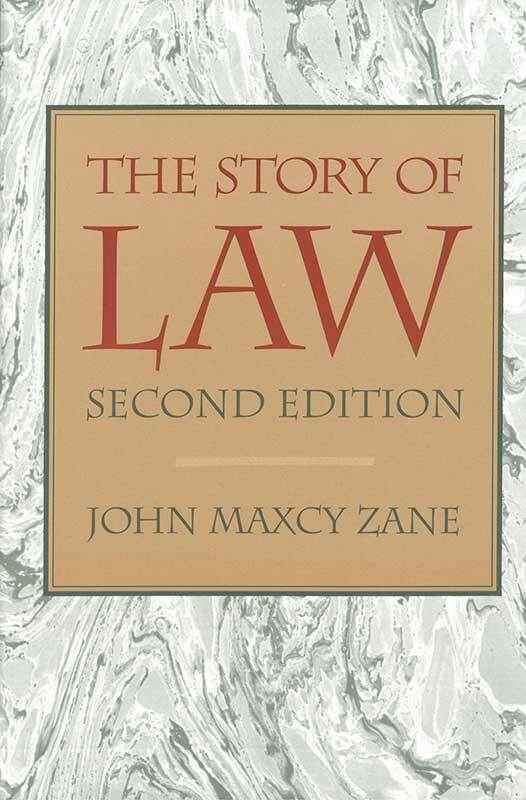 Written for the layman as well as the attorney, The Story of Law is the only complete outline history of the law ever published. “It is,” too, noted journalist William Allen White of the original edition, “the sort of book that any lawyer could take home and give to his children in their teens and twenties as a justification of his career.” Moreover, The Story of Law has well been termed “the perfect book for introducing the beginning law student to the origin and history of the law.” John M. Zane lucidly describes the growth and improvement of the law over thousands of years, and he points out that an increasing awareness of the individual as a person who is responsible for decision and action gradually transformed the law. The seventeen chapters include “The Physical Basis of Law,” “Law Among Primordial Men,” “Babylonian Law,” “The Jewish Law,” “Law Among the Greeks,” “The Roman Creation of Modern Law,” “Medieval Law in Europe,” “The Origins of English Law,” and “International Law.” Professor Charles J. Reid, Jr., of Emory University School of Law, has contributed an unsurpassed forty-page “Selected Bibliography on Legal History” that will be of enormous interest to academics, students, practicing attorneys, and general readers alike. John M. Zane (1863–1937) was a distinguished attorney. Charles J. Reid, Jr. is Professor at the School of Law, University of Saint Thomas. Illustrations, foreword, introduction, appendix, bibliographies, index.